Wed, 24-Apr-2019 - 18:59:20 ---- The fact: 42.844.000 visitors done. For long time, I am looking for one tool or methodology to check, in very short time, the quality of weld to electric resistance welded steel tubes and pipe, basically to check the heat affected zone (HAZ). The idea here is to have "only one evidence of the crime": a macrography from weld zone, 20X zoom, intended to show flow lines and heat affected zone (HAZ), and start up from this, to obtain a comprehensive analisys of weld. 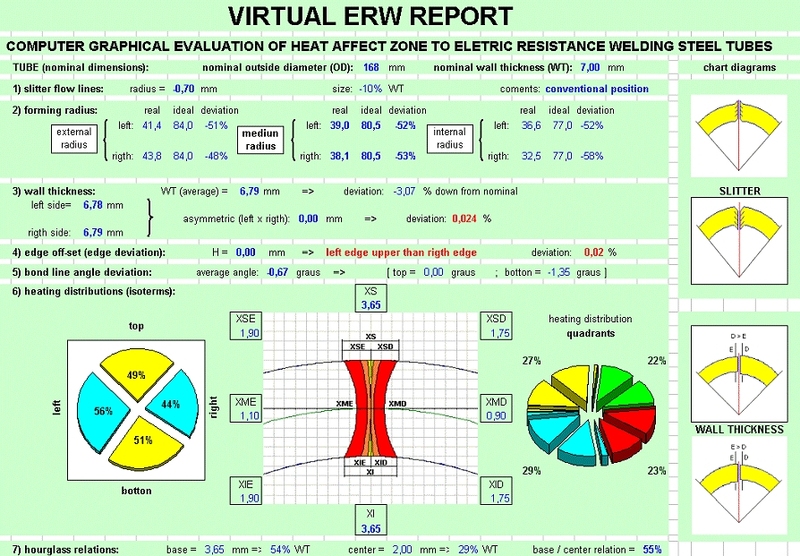 Virtual ERW - it's a simple, practical and powerfull tool to computer graphical evaluation of heat affect zone to electric resistance welded steel tubes and pipes, using only a digital macro photography from a sample of weld, changing from traditional subjective evaluation to complete objective and quantitative evaluation. The figures below explains the principle. Do, automatically, one report with 10 basics points, to check the main requirements to ajust weld box to good weld. 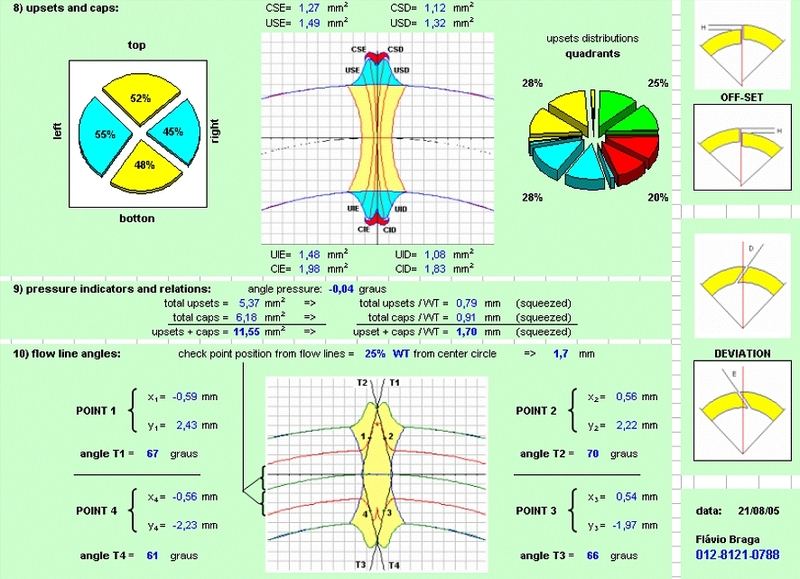 Type only outside diameter and wall thickness in the excel sheet to obtain the standard graphical of weld zone (from data bank prepared before). This step provide ideal coordinates for each point required, then will be easy to ajust real points. 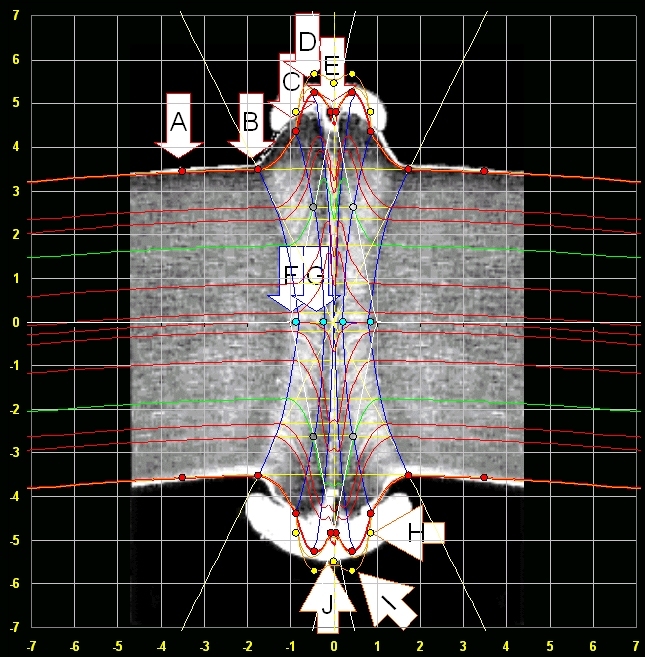 The software draws a transparent graphical (ideal weld zone) over real digital picture. 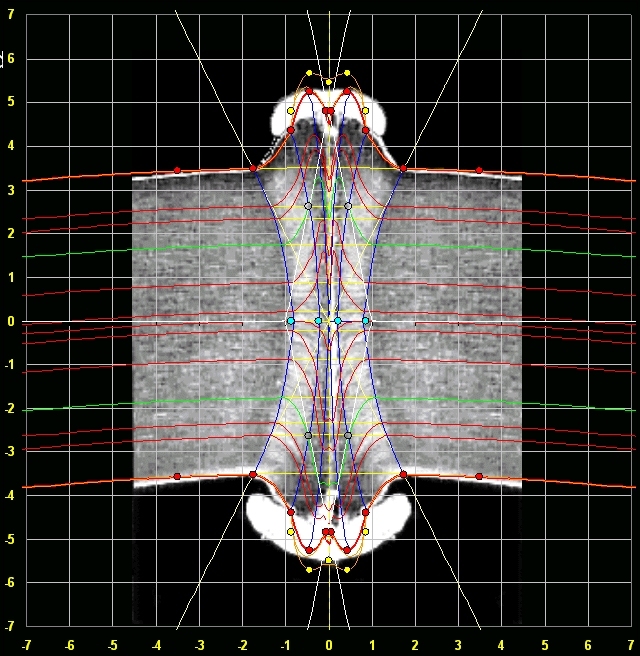 Move and ajust, size and position, from real digital picture under the ideal graphical. 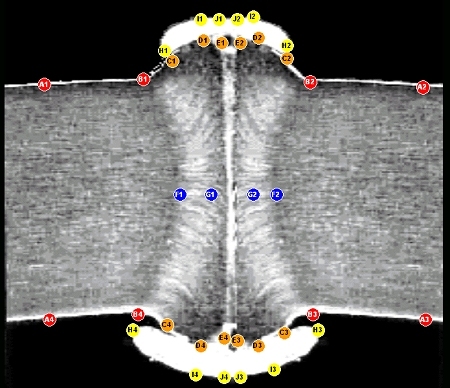 Ajust (type) coordenates from each contornous points (red points) and for each quadrant (A,B,C, D e E). 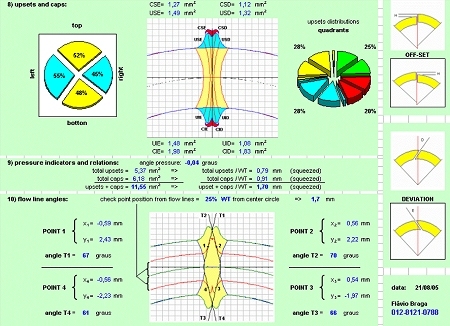 By claculations: radius, wall thickness, edge off-set (yellow lines), bond line deviation (interrupted yellow line), hourglass shaped (blue lines) and flowlines (red lines) are determinated. By asymmetries: comparative evaluations from vertical and horizontal planes (by quadrants) in real picture are reported. By references standards: comparative evaluations checked against references standards could be made between real and ideal HAZ.